Editor's note: Films are subject to change on Wednesday, April 17. Please check with local theaters for films and show times. GETTING TO KNOW YOU Klan leader C.P. 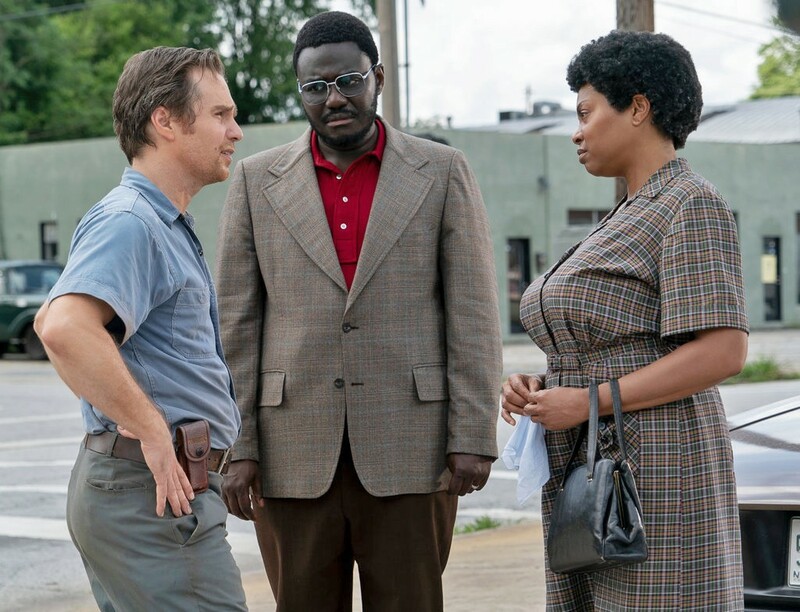 Ellis (Sam Rockwell, left) and civil rights activist Ann Atwater (Taraji P. Henson, right) learn to respect one another when they participate in a community meeting about school integration led by Bill Riddick (Babou Ceesay, center), in The Best of Enemies. Writer-director Robin Bissell adapts Osha Gray Davidson's biographical book about civil rights activist Ann Atwater's (Taraji P. Henson) fight with KKK leader C.P. Ellis (Sam Rockwell) over school integration in 1971 Durham, North Carolina. The two are enlisted to participate in a multi-racial charrette, a meeting in which all stakeholders try to resolve conflicts and map solutions, to decide on integration of local public schools—something the black community demands but that many in the white community vehemently oppose. 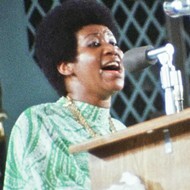 The film's big message is that ignorance breeds distrust, and ignorance can't be overcome by segregation and the lack of interaction it causes. Charrette leader Bill Riddick (Babou Ceesay) knows this, which is why he elects Atwater and Ellis co-chairs, forcing them to sit together and talk. Likewise, during lunch breaks, Riddick creates assigned seating in the cafeteria, interspersing black and white participants and telling them they're not to talk about the focus of the charrette during lunch. Instead, they simply need to get to know one another. This emotionally overwrought tearjerker is undeniably appealing, but it's also a bit too easy, and it's so busy making us sympathize with KKK leader Ellis that you almost forget the black community is the aggrieved party here. One night, we witness Ellis and his two closest Klan stooges—Floyd Kelly (Wes Bentley) and Wiley Yates (Nicholas Logan)—shoot out the windows of the home of a white woman dating a black man; the next day, we see him visiting his developmentally disabled adult son, Larry (Kevin Iannucci). Hey look, he has a heart! We discover that Ellis, poor and uneducated, found a home in the Klan. It made him feel like he was a part of something bigger, that he had a purpose. That racists prey on the ignorant and insecure is no secret, but their irrational hatred of blacks and Jews is nearly whitewashed over in service to this feel-good story. There are enough side plots to keep the film interesting. One white liberal member of the charrette is local hardware store owner Lee Trombley (John Gallagher Jr.), who has an all-black staff. His progressive thinking is anathema to Ellis, but when Ellis learns Trombley is a Vietnam War vet and that his black store manager served with him, he softens his stance. Both Rockwell and Henson are terrific in their roles. If you saw Rockwell as the racist deputy Dixon in Three Billboards Outside Ebbing, Missouri (2017), you know how subtly he can balance racism and humanism. Henson plays Atwater with a maternal fierceness. She won't stand for injustice. This is based on a true story, and during the closing credits we even get archival footage of the principal players talking about their experiences in the charrette and the lifelong friendship that followed. 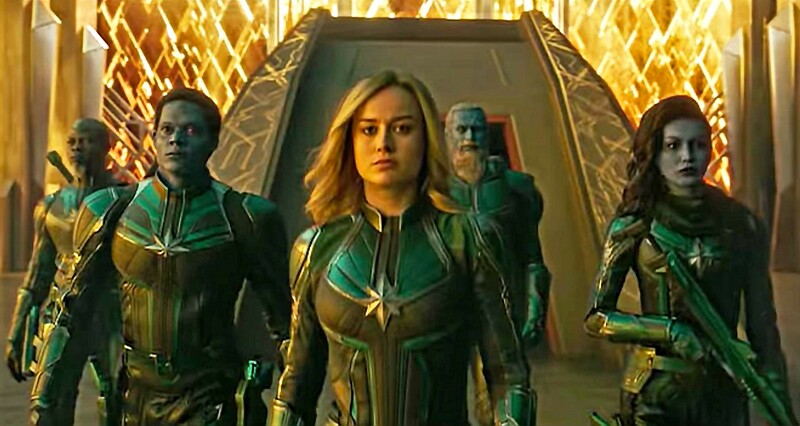 STARFORCE Vers (Brie Larson, center) struggles to recall her past as she's being trained as a Kree fighter to battle Skrulls, a shape-shifting alien race. Co-writers and directors Anna Boden and Ryan Fleck (Mississippi Grind) helm this new installation in the Marvel Universe. In 1995, former U.S. Air Force fighter pilot Carol Danvers (Brie Larson) becomes the superhero Captain Marvel, joining an intergalactic cohort called Starforce before returning home to discover Earth is caught in a war between two alien species. This remake of the Disney animated film centers on a struggling circus led by Max Medici (Danny DeVito), who hires former circus star but now wounded war veteran Holt Farrier (Colin Farrell) to take care of Dumbo, a small elephant with giant ears that make it a laughingstock. Holt's children, Milly (Nico Parker) and Joe (Finley Hobbins), discover little Dumbo can fly, and soon ruthless entrepreneur V. A. Vandevere (Michael Keaton) swoops in to make Dumbo a star with the help of French trapeze artist Colette Marchant (Eva Green). Darn you, Dumbo, trying to tug on my heartstrings when all I want to do is nitpick about your imperfections (the movie's, not the elephant's!). It's hard to hold back tears when the song "Baby Mine" starts playing, as baby Dumbo extends his trunk to reach the barred window of his mother's cage. 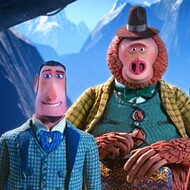 The separation of the titular elephant and his mother is at the heart of both the 1941 animated original and this live-action remake from appropriate director Tim Burton (Edward Scissorhands, Big Fish, Alice in Wonderland). Unlike the original, however, this story centers on brand-new human characters rather than anthropomorphized animals. So don't expect to see anything on all fours talking, contrary to other recent Disney remakes like The Jungle Book and the upcoming Lion King. Timothy Q. Mouse still makes a fun cameo appearance, but his role as Dumbo's friend and protector gets transferred over to two human children, Milly and her brother, Joe. The siblings try to convince their father, Holt, that Dumbo has the ability to fly. Of course, he scoffs at the fantastical notion, but can we really blame him? He is a dad in a Disney movie, after all. And as every good Disney parent knows, the first rule of parenting is: Never believe your children, especially when it comes to the supernatural. Second rule: Apologize to them later for not believing after the big "I told you so" moment. Hiring one of the screenwriters behind three consecutive Transformers movies, Ehren Kruger, to adapt a cartoon about a baby elephant was a bold move. I'd love to have seen this CGI version of Dumbo take down some Decepticons. It's a really mixed bag, but I still feel like it's worth seeing on the big screen. 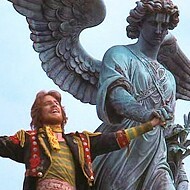 There's enough visual majesty to warrant a theater viewing, despite a thin screenplay. Justin Baldoni directs this romantic drama about two teenagers—Stella (Haley Lu Richardson) and Will (Cole Sprouse)—who both suffer from cystic fibrosis and fall in love in the hospital. Because of weakened immune systems and the danger of spreading germs, the title refers to a "6-foot rule" to avoid cross-infection. 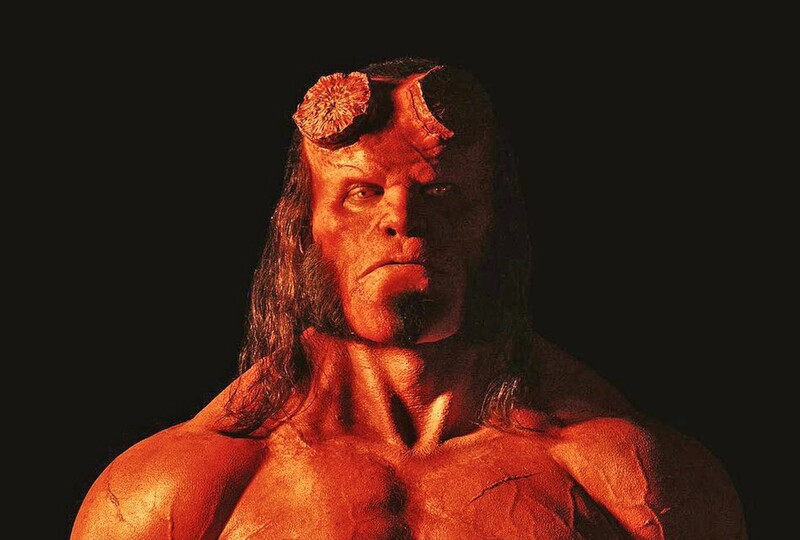 REBOOT Well-meaning half-demon Hellboy (David Harbour) battles an undead sorceress bent on destroying the world, in Hellboy, a new reboot of the two-film franchise. 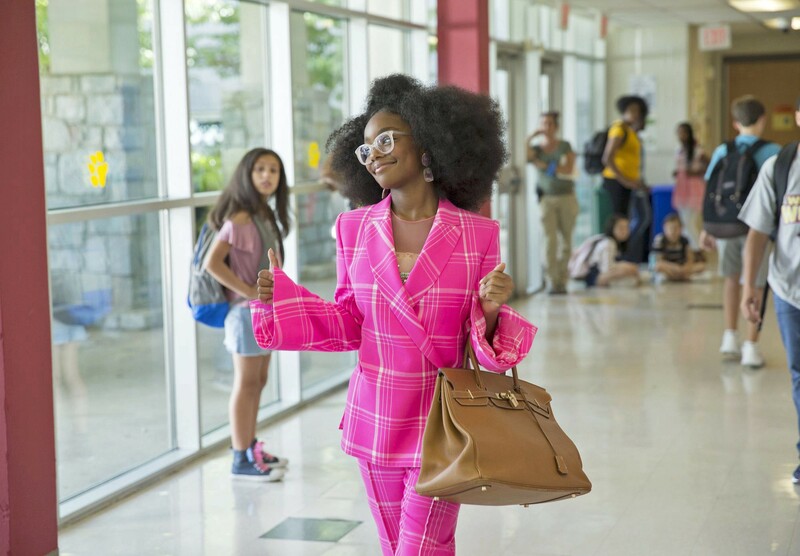 NOT BIG When ruthless tech mogul Jordan Saunders is transformed into her younger self (Marsai Martin), she has to find a way to revert to adulthood, in Little, in this reversal of the plot of Tom Hanks' Big. 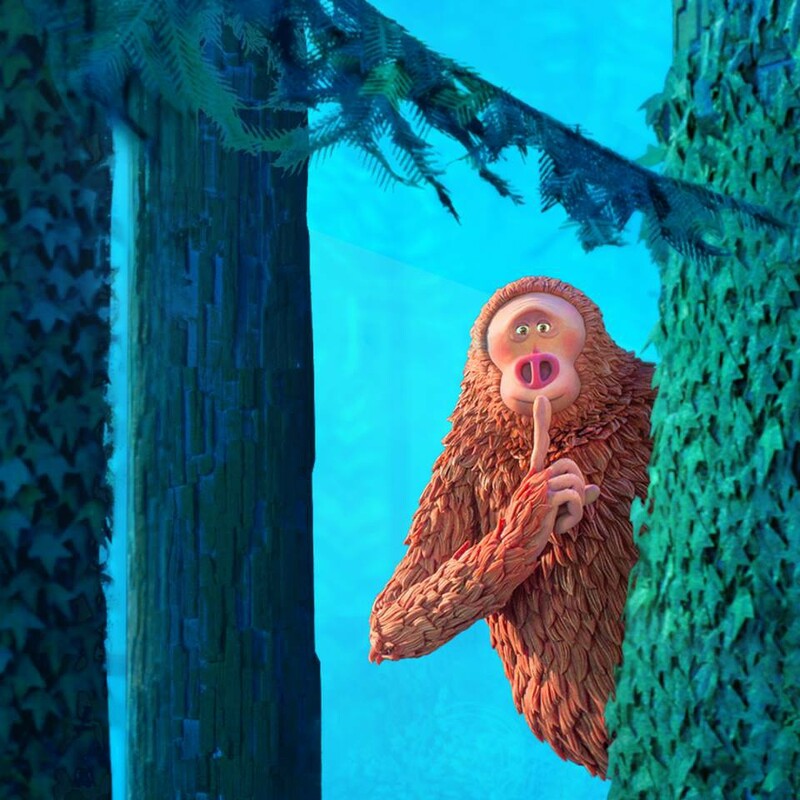 PEEKABOO Zach Galifianakis voices Mr. Link, a mythical creature that two explorers search for, in Missing Link. EQUINE THERAPY Violent convict Roman Coleman (Matthias Schoenaerts) is given a shot at rehabilitation via a therapy program involving wild mustangs, in The Mustang, based on an actual rehabilitation program in Carson City, Nevada. Co-writer/director Laure de Clermont-Tonnerre helms this drama about violent convict Roman Coleman (Matthias Schoenaerts), who's given a shot at rehabilitation via a therapy program involving wild mustangs. Twelve years ago, Roman left his domestic partner brain damaged in an attack. 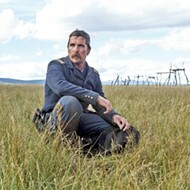 He's well aware of his shortcomings and doesn't believe he's fit for reintegration into society, but that changes when he's placed in a rehabilitation program run by Myles (Bruce Dern), a rancher who assigns prisoners a specific wild mustang to train. Predictably, things don't go well initially, but soon, another inmate with a way with horses, Henry (Jason Mitchell ), helps Roman, who learns as much from his horse as the horse learns from him. DISOBEY Writer-director-actor Emilio Estevez helms The Public, a drama about homeless people who take over the Cincinnati public library, screening exclusively at The Palm. SUPER Newly minted DC superhero Shazam (Zachary Levi, right) tests out his new powers with his foster brother, Freddy (Jack Dylan Grazer), in Shazam! Horror director David F. Sandberg (Lights Out, Annabelle: Creation) successfully steps out of his comfort zone to helm this superhero fantasy about 14-year-old foster kid Billy Batson (Asher Angel), who is chosen to inherit magical powers from a dying wizard (Djimon Hounsou). 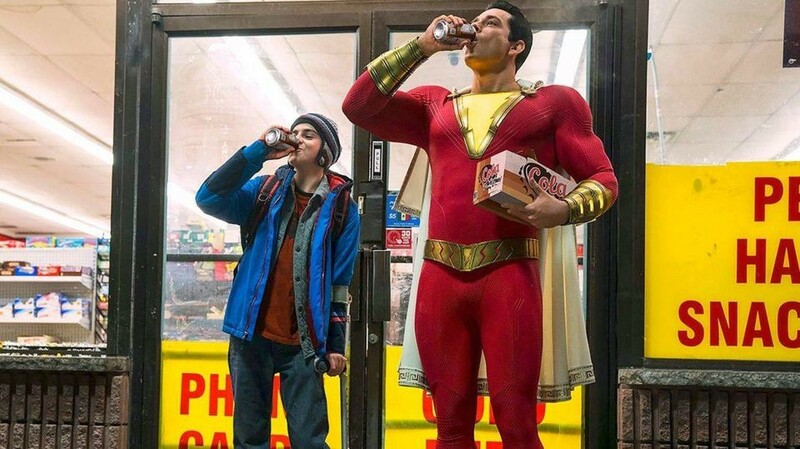 All Batson needs to do is say the magic word—the wizard's name, Shazam!—to transform into an adult superhero (Zachary Levi) with super strength, flight, and other abilities. Still a kid at heart, the hero—or "champion" as the wizard refers to him—revels in his new powers, testing them out with his foster brother, Freddy (Jack Dylan Grazer), the first person Batson trusts with his secret. Meanwhile, the insidious Dr. Thaddeus Sivana (Mark Strong), a mad scientist who dedicated his life to finding the original Shazam, seeks to hunt down Batson in order to extract his powers and adopt them himself. From the trailers, the film looks like Deadpool for kids, but after seeing the final product, I think a more appropriate description would be a cross between Harry Potter and Big for superhero fans. The film opens with an origin for Sivana, cleverly devised to mirror Batson's origin later; he's chosen by the same dying wizard as a child decades before. Unfortunately, Sivana fails the wizard's test when he is tempted by "the Seven Deadly Sins." The sins are literally represented as physical demonic monsters that play an intricate—and quite terrifying—role in Sivana's destiny. Sivana is devastated by the wizard's rejection, who tells him he'll never be worthy enough to inherit his powers. I won't spoil all the details, but the following scene is quite brutal for a kids' movie and includes the darkest use of Bing Crosby's "Do You Hear What I Hear?" I've ever seen put on film. I'm not always a fan of cheerful music juxtaposed with dark material for the sake of irony, but this one works so perfectly. The lyrics proclaiming the birth of the messiah really set the stage for Sivana's future role as an antichrist figure. Co-directors Chuck Konzelman and Cary Solomon steer this drama based on the memoir of the same name. A life-changing experience turns Abby Johnson (Ashley Bratcher), the youngest clinic director in the history of Planned Parenthood, into an anti-abortion activist. 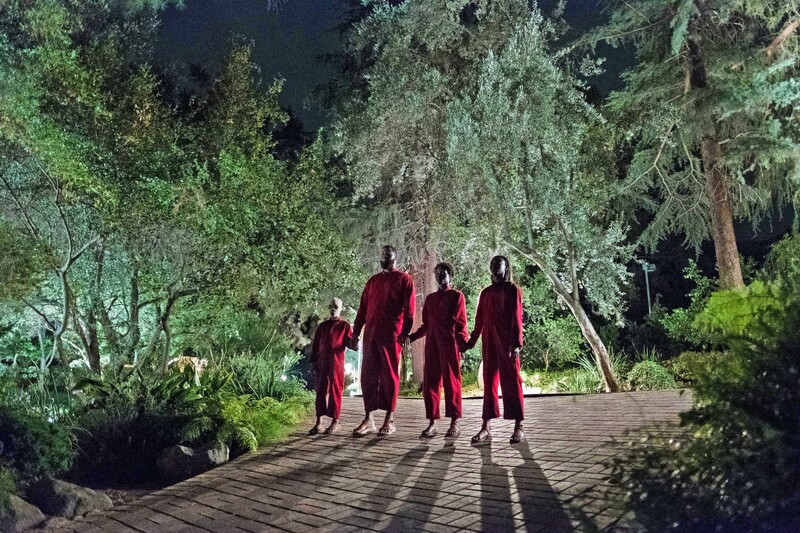 HANDS ACROSS AMERICA Evil doppelgängers menace a family in writer-director Jordan Peele's new film Us, but like his debut Get Out, this film has more on its mind than mere horror. Benedikt Erlingsson directs, co-writes, and co-produces this comedic thriller about an environmental activist (Halldóra Geirharðsdóttir) crusading against the Icelandic aluminum industry. But her life changes when her long-forgotten application to adopt an orphan child from Ukraine finally gets approved. 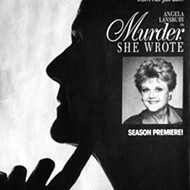 New Times movie reviews were compiled by Senior Staff Writer Glen Starkey. Contact him at gstarkey@newtimesslo.com.